All organizations strive to make well-informed decisions. We may consider the day-to-day work and existence of organizational life as a cycle of gathering, interpreting and disseminating useful data. From the Knowledge Management (KM) field, we know that data is the most fundamental or “raw material” form of knowledge. We may consider that data “matures” as it is consumed, analyzed and worked with inside an organization. Information is data that has been analyzed for its usefulness, knowledge is information integrated into an organization’s decision-making, and wisdom is consistent application of data, information and knowledge. Your goal, regardless of your specific position or seniority in an organization, is to identify the key data, information and knowledge most germane to your role. Then work to become as proficient as possible in its dissemination and use. In this section, we will explore the importance of data and its role in business. You may consider your role in data gathering and manipulation to be aiding your organization’s use of the data to improve its quality. Your goal is to move data to wisdom in order to help your organization improve. Informational Reports: Those used to inform people throughout the organization about something of importance. All reports should be true, factual and helpful. An analytical report should help decision-makers with a very specific type of decision or action. Usually a decision-maker will ask him or herself, “Do I have everything I need to make an informed and quality decision?” Any reports for decisions or actions should be designed around answering this question. Additionally analytical reports should make a recommended solution, based on the data provided in the report. Informational reports are usually shorter and simply disseminate information about organizational happenings. People are generally familiar with memos, newsletters or other similar items. Informational reports are similar to these items in that they relay something of importance to the organization. We might consider an informational report to be slightly higher in its concision and quality than a memo or newsletter, particularly based on the type of research used to illustrate the information at hand. What do I need to know right away? How quickly do I need to make a decision? Most decisions should probably be made with somewhere around 70 percent of the information you wish you had. If you wait for 90 percent, in most cases, you’re probably being slow. Plus, either way, you need to be good at quickly recognizing and correcting bad decisions. If you’re good at course correcting, being wrong may be less costly than you think, whereas being slow is going to be expensive for sure. We might extrapolate from Bezos’s quote that he likely means the 70 percent of information you have, however, must be true. So the issue here may not be volume of information but rather having enough good/true information to make a reasonable move forward (i.e., a decision). As mentioned above, at the heart of good research is the proper use and interpretation of data. Data are all the rage these days. “Big Data,” “Data Analytics,” “Data Science” and other varieties of data use and exploitation are very useful for making key decisions. It can be hard to determine what data is useful. If we define data as, “plain facts, usually numbers,” as Elon University does here, that means we need first to understand the type of data we need, then we have to understand its source(s), and lastly, we have to make sense of the data for our purposes. This requires a research mindset, and it requires us to view report writing as essentially a research project. Through this module, we will address these issues through the lens of research. What should you consider when writing business reports? Building a good company culture. Informing customers about new products. How my report will help someone make a decision or take a specific action, and/or to gain insight or information. Determine a problem and define a question to answer. Find general background about your problem/question. Collect, read, evaluate and write what you have learned. Cite the information you have found so that others will be able to follow your research trail. Consider Martha’s case as a study or illustration of the above process. Martha is a junior analyst with The Human Fund, a business in Chicago specializing in selling local handicraft goods made by homeless families. The Human Fund supplies raw materials such as yarn, cloth, leather or other items, training homeless participants in their use and then providing a safe place to make clothing, bags, and other items. The organization has experienced fairly consistent growth in their three years of operation and has received excellent local press for its help to the city. She determines her research question: “Is The Human Fund’s work helping homeless families in downtown Chicago?” Martha also considers that the business report’s central goal is not necessarily answering ONLY whether their organization is benefiting downtown Chicago already, but also whether The Human Fund should do more in downtown Chicago. She decides to proceed with her research question but tells herself to write up the report later in a way that will help the executives make their decision about whether to expand operations downtown. She sets aside about 10–20 hours for general online reading/fact-finding, primarily from major newspapers and social services websites. During her general background reading, she collects various facts, figures and other data. Most of this data is quantifiable data, or data that has numbers associated with it. For example, she learns that various charities and the Chicago city government estimate that around 2,000 people are homeless downtown. There is some mention of The Human Fund in downtown-oriented press, but there’s nothing that shows their specific impact. She identifies various gaps in her data and determines she will need to do further research outside the office. Do you know about The Human Fund and its mission? Have you sold goods through The Human Fund? If yes, has the The Human Fund helped you? Are you still working with us (The Human Fund)? Would you like to sell goods through the Human Fund? Martha’s technique is a structured interview or survey. She has structured questions that will yield a fairly straightforward and closed (yes/no) type answer. While interviewing, she can make a note of how many people she talks to, how many answer a certain way, and based on other data she found in her general reading—particularly the total number of estimated homeless in downtown Chicago—she can gain an understanding of The Human Fund’s current impact, and possible expansion. 25 percent of her respondents (74 families asked over a week) know about the Human Fund. Of the 19 families that have heard of the Human Fund, 10 have made and sold goods with The Human Fund. Of the 10 families that have made and sold goods through the Human Fund, 9 said they benefited from the help. Of the 9 that said they benefited from the help, all 9 families plan to continue the interaction. Of the 55 families she polled who had not heard of The Human Fund, 25, or 45 percent, expressed an interest in learning more. Martha begins writing up her report. In the report, she clearly outlines her research question, the background reading, the gaps in data she found in the background reading, the field research and sub-questions, and the data gathered from the fieldwork. Martha is careful to cite all of her work. For her background reading, she hyperlinks to various newspapers or other sources, and for her fieldwork, she gives general data on whom she talked to (e.g., “family of four, sleeping on the streets off of Lake Shore Drive, dad’s name is George). The above process is one possible way to conduct research. It reflects the general approach to social science inquiry, which seeks to answer a specific (as specific as possible) question about a human circumstance. In Martha’s case, she will now need to develop a report that quickly and concisely details what she found. Most importantly, Martha needs to consider what type of informed recommendation she should make to her boss. Aracely is thinking about how to start her research project. What should be her first step? Figure 1 shows frequency data—the amount of something over a given period of time. Various types of data are very useful for business reports, and in business reports, you will quickly come across things like revenue (money earned in a given period, usually a year), turnover (people who left the organization in a given period), and many others. Internal and external business or organizational data come in two main categories: qualitative and quantitative. Qualitative data are data that are generally non-numeric and require context, time, or variance to have meaning or utility. Quantitative data are data that are numeric and therefore largely easier to understand. Both types of data are useful for business report writing. Usually a report will feature as much “hard” quantitative data as possible, typically in the form of earnings or revenue, headcount, and other numerical data available. Most organizations keep a variety of internal quantitative data. Qualitative data, such as stories, case studies, or narratives about processes or events, are also very useful, and provide context. We may consider that a good report will have both types of data, and a good report writer will use both types of data to build a picture of information for their readers. Which of the following is an example of qualitative data? Customers reporting on a scale of 1 to 10 how they feel after a shopping experience. Customers reporting how many items they purchased in a single shopping trip. Customers reporting which store location they prefer to visit and why. A common report required of all publicly traded companies is the 10-K. This is an annual report that all public companies in the US have to file with the US Securities and Exchange Commision (SEC). For example, you can take a look at Apple’s 10-K. 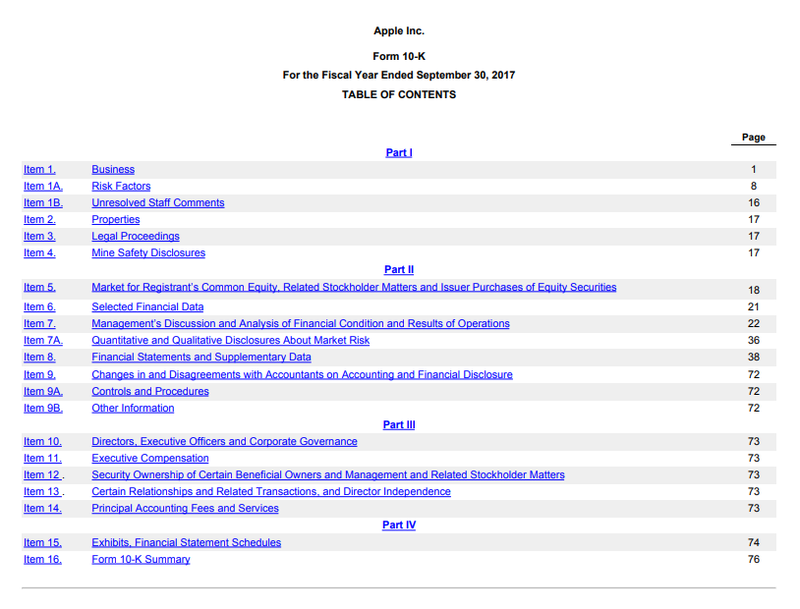 Figure 2 shows Apple’s 10-K’s table of contents, and illustrates common types of data used. Note how much of it is quantitative based (Item 6 for example,) however other data, such as leadership biographies (Item 10), also provides context. Primary research is usually defined as research you collect yourself. This type of research is done to fill in gaps found during secondary research review. That is, one does not conduct primary research if you can address your research question with already existing secondary sources. Think back to Martha’s case we discussed earlier in this module; her interviews of homeless people in downtown Chicago are primary research. She is doing these interviews only because her existing secondary sources lack something she feels she needs now to properly answer her research question (about the current experience of homeless families in downtown Chicago). Primary research is used to supplement gaps in more accessible secondary research (covered in greater detail in the next sub-module). Interviews: Interviews are conversations, typically in small groups, where one party asks questions of another. Interviews are usually conducted in-person, between two people (the person asking questions and the person answering them); however, these can also take place over the phone, and may involve multiple parties. Surveys: Surveys are typically written documents that are sent out to individuals to fill out. Surveys are more rigid than interviews, as an interviewer can change their planned questions based on the subject’s responses. Surveys, however are pre-written and can only respond in limited anticipated ways. Observations: Observations are just what they sound like: the researcher watches something and records what they see. It is important to avoid influencing whatever you’re watching. However, if it’s impossible to not influence your subject, make sure to include the fact that your presence may have influenced your observations. Analysis: In analysis, gathered data is examined and organized so those who are less familiar with technical details can be guided through the data. Analysis can also help uncover patterns and trends in data. Secondary research is gathering information from other people’s primary research. Common forms are books, journals, newspaper articles, media reports, and other polished accounts of data. Most will use secondary sources for their business reports; the value-added is to gather, curate, and present the material in a new, updated and helpful manner. It is far less costly, more efficient, and requires less time to gather data from already built sources. In business, where everything has a cost, we may argue that we hope we can answer our research needs through secondary sources alone. Primary research is expensive and time consuming. That said, primary and secondary data should interact, and as discussed, we gather primary data when we find gaps in what is already available from secondary sources. One example of a “good” secondary source is this McKinsey and Company discussion on data and analytics in business. Later in the module, you’ll learn how to assess a source. Consider coming back to the McKinsey piece here and running the source through these tests and frameworks. Which is the best description of primary research? How would you describe good secondary source research? Building awareness before conducting primary research. Arrangement journal articles for someone else. The gathering, curating, and presenting of material in a new, updated and helpful manner.